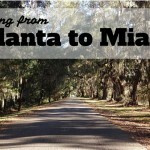 I have always wanted to go to Savannah, Georgia. I didn’t actually know anything about Savannah, but I imagined a city full of Southern charm, gorgeous surrounds and gorgeous people. My gut feelings were right! 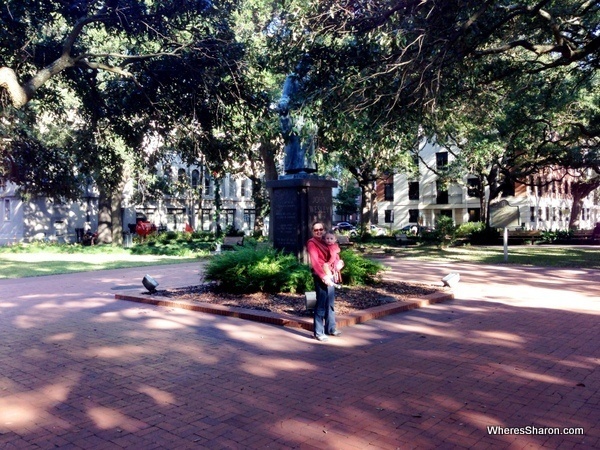 We had a fabulous time on our Savannah stopover on our fabulous Deep South road trip. The drive into Savannah was straight forward and we were soon eating a picnic lunch in Forsyth Park. 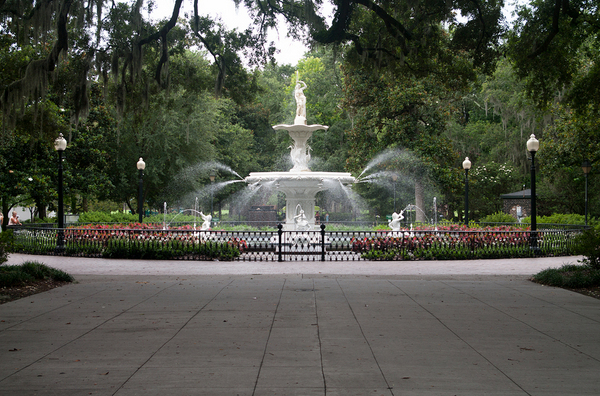 Forsyth Park is a big 40 acre park in the Savannah Historic District. It is a beautiful big park. 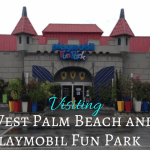 The weather was great and we had a fabulous time hanging out and eating. The kids loved looking at the fountain and watching squirrels. We then went for a big walk. 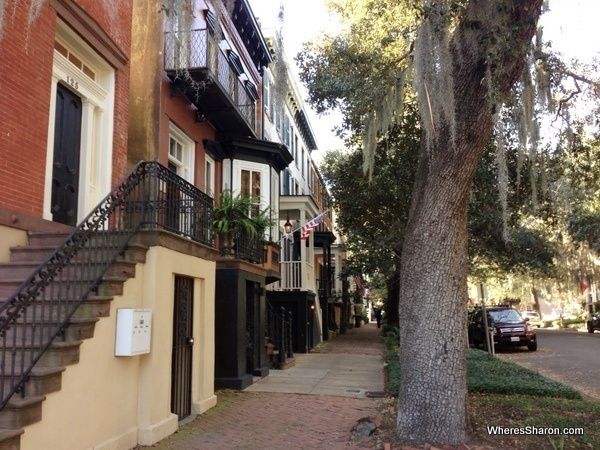 Savannah is a very lovely place to walk around. 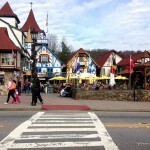 Every couple of blocks, we would hit small green square areas and there are a lot of good looking buildings. The many big old trees complete a very pretty picture. To be honest, to start with I wasn’t very impressed. It was lovely, don’t get me wrong, but we have just come from Charleston and had only been in New Orleans less than two weeks ago. To me, Savannah just does not compare. If I had come here first, it no doubt would have been another place I would have loved. This all changed when we arrived at the area surrounding the river. It is so lovely. The big, old warehouses that line the river are gorgeous, and there are many cute shops, hotels and restaurants. I would have loved to be staying in one of these hotels and sitting at the River Street cafes drinking wine and eating ice cream (although perhaps not at the same time). I loved the atmosphere here, especially when we came across a clarinet busker playing jazz. It added to the vibe, and we gave him some money. After this, we walked back to our car at Forsyth park with a different attitude, and I did have a bit of a crush on Savannah. It is beautiful. It is not as colourful and didn’t seem as beautiful to me as Charleston, but it has its own charms. I had read a post about Savannah before we arrived which described it as being romantic. It is. I would love to come here for the weekend with just J. In conclusion, I did love our Savannah stopover. I would have happily spent a night here. I am happy that we didn’t cut out Charleston in favour of Savannah though. I did prefer Charleston, but in an ideal world, you should visit both. We didn’t spend anything except a tip for the busker. There are free buses around the Historic District, but the area is quite compact. 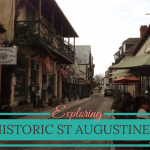 We did a loop around the Historic District on foot with the kids without a problem. 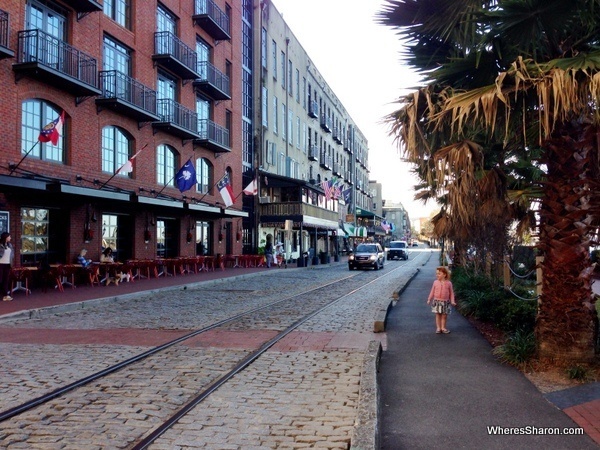 What attractions do you recommend in Savannah? I stayed in Savannah one night many years ago and always wanted to go back (especially after Midnight in the Garden of Good and Evil). Now my niece is a student at Savannah College of Art and Design and I need to arrange a trip to visit her and that lovely city before she graduates. You definitely need to arrange a trip 🙂 It is great when there is a good excuse to visit a great place! This sounds like my kind of chill-out stop. I know you’re right in saying it wasn’t as impressive in some ways as the “big name” places nearby but you’re also very right (and especially where the little ones are concerned) that sometimes the eyes need a rest! It does look like a lovely romantic location with a great park and some good streets for idle wandering. I’ve been following your Instagram feed with envy.I can’t wait to see where you go next. Thank you for sharing. I felt the same way about Little a Rock when I visited there. It was a revelation. The “it” places everyone wants to get to often can’t match the charm, laid-back class and sophistication of some cities of the southern USA. 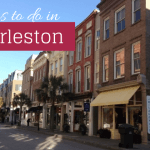 I’ve always wanted to visit Savannah, but maybe I should add Charleston to my list as well! Definitely!! Apart from the dance, I had rarely heard of Charleston here in Australia before I started researching this trip. That is a shame. I am so glad I looked into places further afield than what we had originally planned. Savannah is a lovely place though. 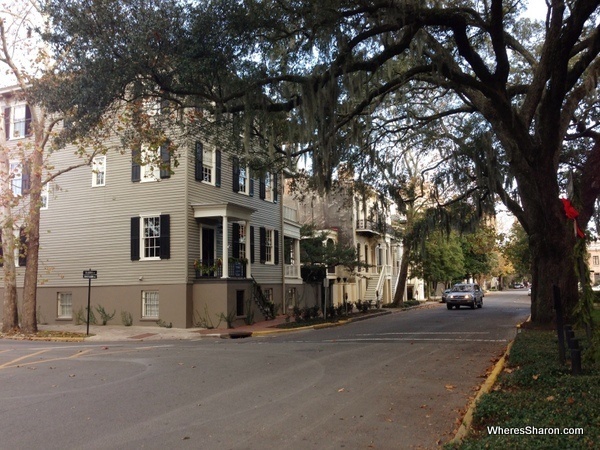 Savannah is waaay more than a stop-over spot. The best way to see the heart of the city (and get the info on the numerous historic spots) is through the guided trolley tours. You’ll discover beautiful, historic churches; City Market (which is full of art galleries and boutiques) and must-visit shops like E. Shaver Booksellers (where you’ll find wonderful works like “Islands Past” – a collection of paintings and prose from local authors Chip Goldsmith and Debbie Ice). 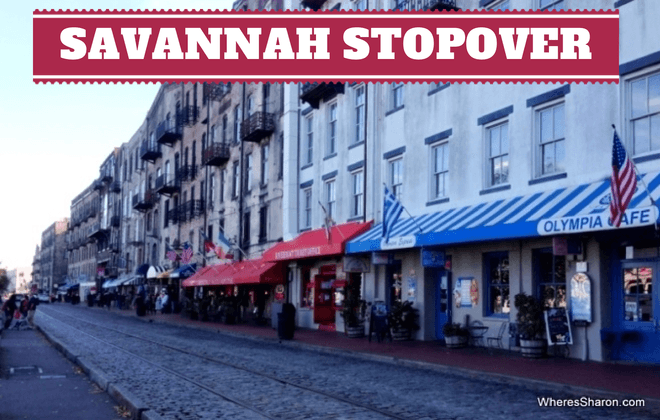 That store as well as any number along River Street boast an array of cookbooks that are a MUST HAVE if you’d like to duplicate Savannah cooking once you’re back home. But I think the area’s best-kept secret actually lies a few minutes east on Tybee Island. There you’ll find miles of public beaches – both along the Savannah River and the Atlantic Ocean where you can watch the sunrise on one side and sunset on the other. Where the two bodies of water meet is also the resting point for hundreds of shorebirds, pelicans – we’ve even been blessed to see a pair of bald eagles nearby. The Miley Cyrus movie, “The Last Song” was filmed in the area and fans will love seeing the chapel and house used in the movie.